ISBN 1480344915. 9x12 inches. Compiled and edited by Philip Low, Sonya Schumann, and Charmaine Siagian. 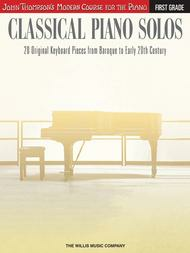 20 pieces selected from the piano literature canon! 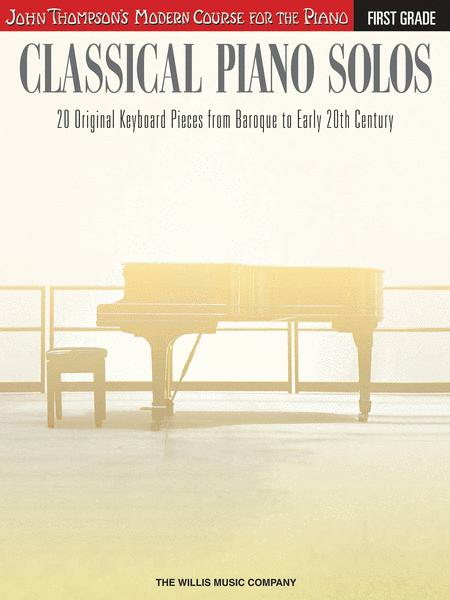 The Classical Piano Solos series was compiled to correlate loosely with the Modern Course method and can be used to supplement any teaching method or situation. Features a mix of well-known pieces, including several from Bartok's method (co-authored in 1913 with Reschofsky) and Burgmüller's “Arabesque,” as well as lesser-known gems by composers Melanie Bonis, Vincent d'Indy, Daniel Turk, and more. Includes 2 bonus pieces by Gurlitt and Schmitt that have been adapted so that the beginning student can immediately start playing the classical repertoire.